Open-concept kitchens and custom bathrooms are our specialty. 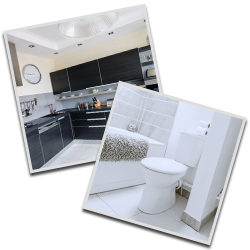 We can give you the dream kitchen or bathroom like you may have seen on HGTV®. Open your home to the world without losing heat. 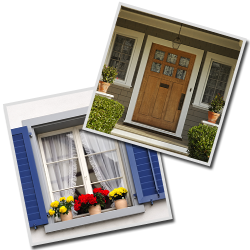 SL Contractors replaces and installs windows and doors with newer energy-efficient models. Considering a simple home addition? Maybe you are looking to build a brand-new house for your family. Whatever the job, SL Contractors is here for you. 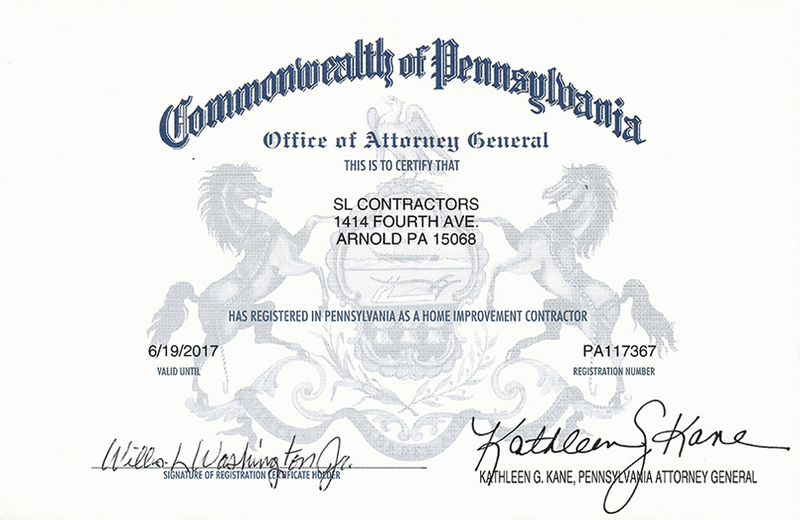 SL Contractors is the number-one general contracting and remodeling company serving the Pittsburgh, Pennsylvania area. We specialize in kitchen and bath renovations and design, as seen on HGTV. 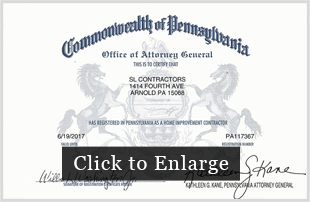 We were established in 1998, and we are registered and insured in Pennsylvania. Our team is dedicated to providing outstanding craftsmanship and expert kitchen and bathroom remodeling and renovation services to New Kensington and the surrounding area. Never outsourcing our work, we do it all, including the electrical and plumbing installation. Our designers also have the excellent insight needed to create layouts and match products for an end result that looks fantastic! As a family-owned business, we bring our values to every project. 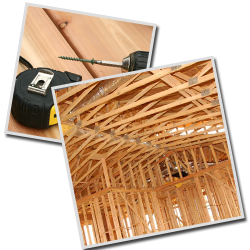 The owner grew up working with his father, so he and his team are able to offer more than three decades of combined experience in carpentry, electrical, plumbing and masonary for your remodel. All work is guaranteed, and we will beat any competitor's price. Feel free to contact us at (412) 368-5962 to set an appointment for a consultation. Ask about our special discounted pricing for REALTORS®, house flippers, and first-time homebuyers.